The bohemian is a curious traveler, floating through the world bazaar collecting beads, embroidery and fringe to stitch together into a casual, friendly, free-spirited style. For this true flower child, there’s simply no need for the summer of love to end. While the look is most often associated with the 1970s, its roots stretch all the way back to the 1500s in Bohemia, a Czech province with a counter-culture of free-thinking artists and musicians. Today’s touchstones of boho chic include Rachel Zoe, the Olsen twins and Kate Moss. But the look is all about being original and being yourself. Experiment to develop “festival” fashion statements that are uniquely you. 1. A maxi dress is a must in the Bohemian closet. Slip into embellished huaraches and go or “winterize” your outfit with clogs and a pullover knit sweater. 2. Pair a peasant blouse or tunic top with slim jeans and leather booties in earthy browns. Look for booties with artisan details like hardware, straps and ruching. 3. Mix prints. Start small by topping a blouse in one print, like a paisley, with a scarf or shawl in another print, like a floral. Add a strappy, two-tone sandal or moccasin to complete your look. Keep the color palette consistent until you’re comfortable mixing it up even more. 4. Layer on the jewelry—particularly turquoise, coral and quartz. Look for sandals and clogs with complementary, jewelry-inspired embellishments. 5. Load up on organic textures in tops, bottoms, shoes and accessories—jute, rope and crochet. 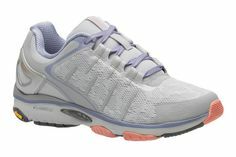 Get the lightweight flexibility you need to move with ease in the ABEO Advance athletic style, available in 5 great colors! 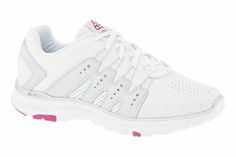 Move easier in performance comfort with the women’s ABEO Sublime running shoe, available in 6 great colors! 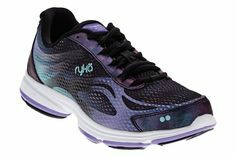 Stay motivated to keep moving with the women’s Ryka Devotion Plus 2 Walking Shoe. 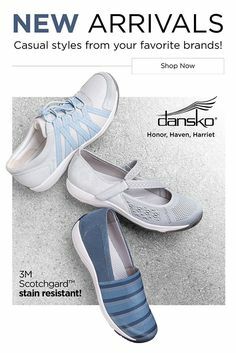 Shop the latest and greatest casual comfort styles from Dansko! Order your FootSmart catalog today, and treat yourself to the convenience of our print catalog anytime, anywhere - even away from your computer.